No matter what your kid is into, there's a summer camp for him or her. Here's your handy dandy guide to day camps on Chicago's North Shore, including traditional day camps, sports camps, tech camps, theater camps and everything in between. 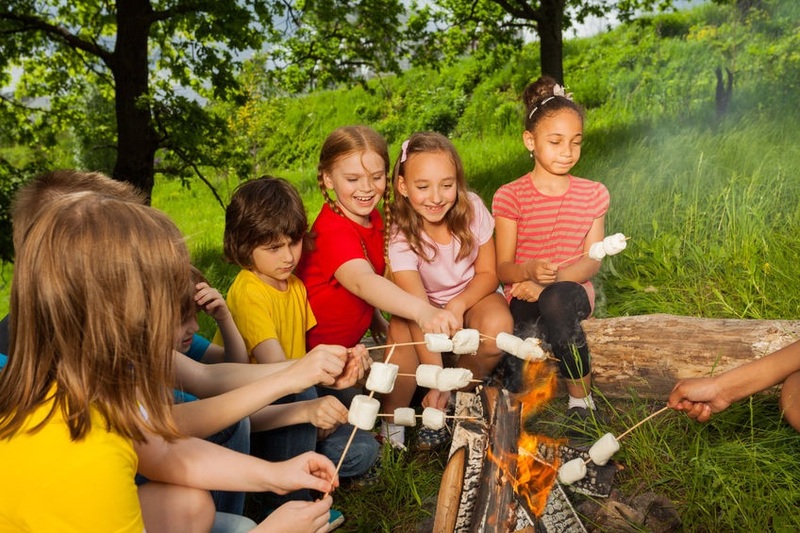 In addition to the camps listed below, the park districts in Evanston, Wilmette, Winnetka, Glencoe, Glenview, Deerfield and Highland Park offer a variety of highly regarded fun and affordable summer camp options as well. Banner Day Camp offers a tremendous range of sports, aquatics, arts and adventure activities. At Banner, it's all about growing as an individual, embracing new opportunities and having fun. And it's more than just fun. Banner campers develop positive self-esteem as they achieve new accomplishments, socially and athletically. The Day Camp's diverse programs allow for all campers to try new activities in a setting where individual growth is fostered by a caring staff. The goal is to actively involve all campers while offering encouragement and support as they tackle new endeavors and age appropriate activities. Additional camp offerings include expedition camp, language immersion and little explorers (three year olds). Located on 10 beautiful secluded acres in Northbrook, the JCC "Z" Frank Apachi day camp has been bringing magical summers to Northshore children for over 25 years. With virtually every sport imaginable, an array of cultural arts activities and door-to door bus service, your child will expand their interests, have fun, grow and make new friends while developing greater independence. The YMCA knows children and they know they need to spend time outdoors practicing social and decision-making skills. And they know they need to be inspired and mentored. Y Day Camp offers all of these things plus safe and value-based programming focused on caring, honesty, respect, and responsibility to help children discover and reach their full potential. Options include preschool camp, traditional day camp, sports day camps and special interest camps with lots of scheduling flexibility. Good Times Day Camp’s mission is to provide a fantastic experience for each camper in a safe, fun-filled atmosphere where children create memories as well as build important skills that will last a lifetime. The camp offers many convenient locations for you to drop-off and pick-up your camper. From which they will be safely transported to their main base camp in Glenview. This is where campers go through morning rituals (song, dance, daily announcements, camper challenges, counselor challenges, birthdays, etc.) before they start a great day of fun and activities! In the afternoon, everyone has a chance to enjoy special treats and purchase concessions before being shuttled back to satellite bases. This family run camp has been providing wonderful camp experiences for more than 67 years. Decoma offers a vast program of activities geared to each child's level of development, including daily swimming lessons through their American Red Cross based swim program. They offer four through 8 week options, weeks do not need to be consecutive, you can choose 3 or 5 days per week and they have additional extended camp and specialty camp options. They also provided door to door transportation which is included in the tuition. 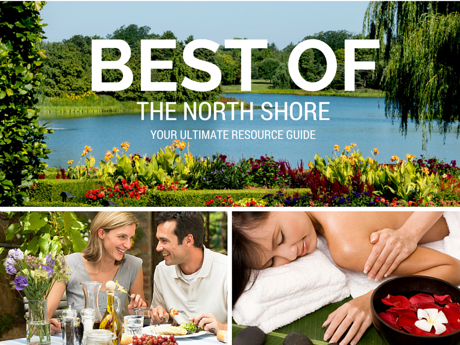 Summers are never dull at North Shore Day Camp! With energetic counselors, Camper’s Choice theme days and daily swim lessons, there’s something for everyone, including: sports, art, drama, music, dance, field trips, overnighters at Camp Henry Horner. NSDC grows with your child, providing challenging, fun activities and experiences tailored to each age group. 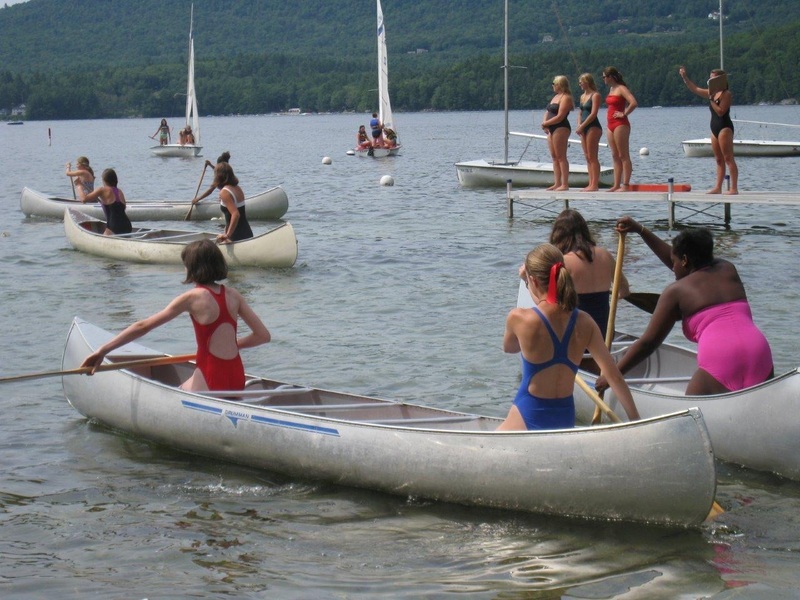 Since 1946, Tamarak Day Camp has established a reputation for providing: the finest programs, with a special emphasis on swimming, magnificent grounds and facilities, and enthusiastic, highly trained staff. The program provides a safe, fun camp experience, emphasizing skill development, sportsmanship, respect for the environment and encouragement of group skills. Activities include swimming twice per day (instructional, recreational and lifesaving), softball, T-ball, soccer, basketball, floor hockey, football, volleyball, tennis, performing arts (music, dance and drama), arts & crafts, ceramics, nature, challenge activities, special days every week and lots more. Bus service provided as well as extended before and after camp care. Summer Stuff is a weekly themed, indoor and outdoor program for campers entering K, 1 & 2. Through art, outdoor adventures, creative drama, sports/games, music enrichment, engineering, science and more, campers experience creative learning at its best! Three, two-week sessions available; Monday - Thursday from 9 am - 1:30 pm with extended care until 3 pm available. At GoodSports! your child is exposed to a well-rounded variety of sports and activities aimed at developing a whole range of skills and abilities. Campers follow a daily schedule of rotating sports instruction, games and fun activities including art, baseball, basketball, floor hockey, golf, gymnastics, lacrosse, soccer, tennis, volleyball, wrestling, and more! It's great fun that builds your child's sportsmanship, athletic skills, and confidence under the enthusiastic guidance of experienced and dedicated professionals. IBA is back again with a full slate of Summer camps, including their NEW MVP Summer Camp, that are set to begin the first full week of June. This summer, they are offering over 40 camps throughout Chicagoland area! No matter your campers’ age or ability level, they are guaranteed to have a camp that is right for you! All of the summer camps are led by current high school or college coaches who all played college baseball. Ages 2nd-5th grade (current 6th graders must be returning campers). Wildcat Sports Camp has been a Chicagoland tradition since 1939 and continues its success as one of the best quality multi-sports day camps on the North Shore. When children are offered fun, exciting and challenging fitness experiences, they discover and learn to appreciate the many pleasures of being active and fit throughout life. Wildcat Sports Camp is administered through the Northwestern University Department of Athletics and Recreation and counselors are students and student-athletes from Northwestern and other universities, past Wildcat campers, area teachers, as well as year-round Recreation Department Staff. Capacity is capped at 75 campers. Transportation provided for these designated areas only: Door to door: Evanston, Kenilworth, Winnetka (south of Tower Road), Wilmette (east of the Edens) and Skokie (north of Howard & east of Crawford), Glencoe: Central School. Run by many of the top intercollegiate coaches in the country, sports camps held at Northwestern University provide a fun and exciting learning environment for youth of all ages. Game On! Sports 4 Girls is the premier organization committed to empowering young girls through sports. Our unique & fun programming, all-girl environment, and staff of passionate role models foster the “GIRLSTRONG” crucial to every girl’s development as an athlete and a person. Located on the impressive and expansive athletic campus of Woodlands Academy, campers of all athletic abilities are treated to a quality, multi-sport experience with all but the golf and horseback riding activities on site. Door to door transportation within approved zones and lunch program provided.. Extended care now available with bus transportation to Rootz in Northbrook. The Loyola Academy provides a multitude of specialty sports camp with various dates and ages. The goal of Loyola’s summer sports camps is to provide boys and girls with the opportunity to learn and develop skills that will help them compete at a higher level in their given sport. They will also get a chance to meet Loyola Academy coaches and other boys and girls who are in the Loyola community; all of this in a relaxed and enjoyable atmosphere. For information about specific sports and dates and ages, click the link above. 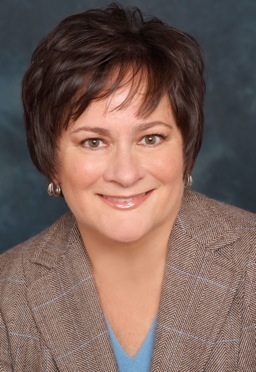 FSA’s goal is to create well-rounded campers and will stop at nothing to accomplish that. They want campers to discover and cultivate a passion for athletics including competition, socialization, self-esteem, and the ultimate experience…contributing to something bigger than themselves! Friday Fun-Days, USA vs. UK, Tribal Takeover & Blue vs. Red bring out the most camaraderie, teamwork, competition and fun! Transportation and hot lunch provided for additional fees. Hi-Five Sports Camp is a sports camp dedicated to a full menu of team sports for boys and girls. The camp is about so much more than winning and losing - it is about teamwork, playing hard and playing fair. And it is about making new buddies and enjoying the camaraderie. A camp that is as encouraging as it is challenging. As safe as it is high-energy and as instructional as it is fun. A summer day camp at a sports training facility – right in your backyard! NSDC Sports is a non-competitive day camp that enables your sports-loving camper to eat, drink and live sports! Working within varying age and skill levels, NSDC Sports introduces and improves skills in a variety of sports – including baseball, basketball, soccer, hockey, tennis, flag football, ultimate Frisbee, swimming and more through skill drills, games and tournaments. Includes daily swim lessons with American Red Cross certified swim instructors. Athletes start their day with camaraderie at North Shore Day Camp, then head to the Lillian Lutz Recreation Center (The Lil’) to train and recreate on a multi-sports court, two Max Davidson tennis courts, and in the pool. The mission of the Chicago Bulls/Sox Academy is to create a fun, safe, and invigorating environment, teaching the games of basketball, baseball, and fastpitch softball, maximizing skills and building self-esteem of each boy and girl with whom they have contact. They are dedicated to nurturing the athlete in every child who comes through our doors. FMA offers a variety of summer camps for students of every age and level. At the Evanston location, campers will advance through their karate curriculum including belt tests and dojo tournaments while developing skills, increasing their level of fitness, making new friends, and having fun. Afternoons are spent having fun with fellow campers at local parks, beaches and sites. At the Wilmette location, which is offered 3 days a week, campers engage in 2-1/2 hours of interactive fun while building coordination, strength, character and focus. Through a wide range of mixed media activities (digital photography, film, print making, drawing, painting, ceramics etc) this summer let your child explore, imagine and create through art! Camps are offered in 2, 4, 6, or 8 week sessions. New projects offered each session. One River School offers creative camps weekly from June 11 through the end of August. Topics include a wide variety of art and design subjects such as drawing monsters, street art painting, cartooning, manga, fashion illustration, watercolor painting, digital illustration, photography architectural design, and digital painting. All camps are project-based, taught by highly experienced instructors focused on creating an environment of fun, learning, and inspiration. Led by Ciao Bella sewing instructors, each week allows budding fashionistas to explore different themes including: Beach Collection, Project Runway and Fashion Design and Construction. The camp provides all supplies including fabric, sewing notions, hand sewing supplies and machines, but campers can bring their own machines as well. Various classes including improvisation, story ensemble and musical theatre. Several programs available, including Performance Intensive (by audition only), Acting Lab, Page to Screen and Actors Toolbox. Citadel Theatre offers a summer camp experience for kids who want to learn all aspects of putting together a performance. They will enjoy acting, singing and dancing as well as additional electives like arts and crafts. There will be "special days" when there are special guests and events. Campers are divided into two different productions based on age (1st - 4th grade and 5th - 10th grade). Since opening our doors in 2007, LoMastro Performing Arts Academy has become one of the North Shore's premier performing arts academies. During the summer, they offer a plethora of dance camps and classes for boys and girls of all ages and skill levels to improve upon their current techniques or try something new! Music, acting, dance and storytelling are "smashed up" into an original musical. Perfect for young elementary-age students who love creating and performing. Enjoy one, seven or any combination of these week-long camps. Each week culminates with a mini-musical created by campers. 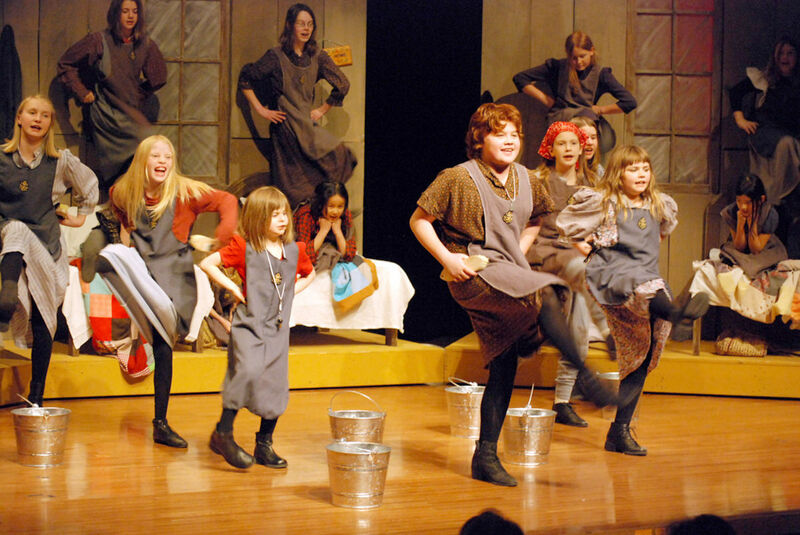 Rootz offers a variety of musical theatre and dance camps. Program sessions and content vary by age group. Before and after care available as well. Camp Jam's multi-level curriculum schools students in every aspect of playing in a real rock and roll band. From playing techniques, plenty of band rehearsal, song writing, to stage presence, Camp Jam's variety of classes will turn the bedroom player into a bona fide rock star. Not only do you learn from a rock legend, you get to take the big stage on Friday. MIC offers summer camps designed to meet a wide range of interests. Youth and adult campers have the chance to work with MIC's award-winning faculty and ensembles in residence through various course offerings including jazz, oboe, piano, brass and more. Through workshops, clinics, and private instruction, this comprehensive camp experience is designed to hone music performance and ensemble skills in a creative and fun environment.Students work in a hands-on atmosphere that includes, learning the nuts and bolts of live performance, studio/band rehearsal time, Instruction and clinics with music professionals, music theory and songwriting, music appreciation and interacting with other young musicians, plus performing in a live rock show! Special artist-themed weeks as well. Baker's Summer Discovery is designed to spark the imagination, engage the intellect, and, at the same time, offer an equally important dose of fun and physical activity. Exciting, hands-on, progressive educational activities taught by experienced teachers, a wide variety of games and play, and small camp groups led by fun and caring counselors are the hallmarks of Baker Summer Discovery. Open to all in the community. Specialty camps offered as well. Grouped by grade, campers take on art, science and outdoor activities tailored to their level, and they learn lasting innovation skills like collaboration and reflection. As campers grow, the curriculum evolves to include more advanced concepts, complex projects and creative freedom. All this engrossing learning is wrapped in four, fresh, weekly themes. This summer, your camper might build a rocket in Space Explorers, take Ansel Adams-inspired photographs in National Parks Adventure, engineer an archery bow in Galileo Olympics or design a kaleidoscope in Galileo Makers: Toys. Every week is an eye-opening new adventure. Galileo Summer Quest is where kids get to dive deep into something that inspires them. Designed for burgeoning visionaries, Galileo Summer Quest empowers 5th – 8th graders to take the next step. Campers choose from 12 immersive majors, picking something they already love or a new area they're excited to explore, then spend the week diving in. Mentored by expert instructors and equipped with professional tools and materials, campers make short films, engineer catapults, whip up inventive dishes, design custom video games and much, much more. Each confidence-building, collaboration-packed week gives them an opportunity to realize their personal vision in a new inspiring subject. Ultimate Digital Adventures Camp leverages cutting-edge technology, knowledgeable instructors, and the coolest toys (robots, 3D Printers, Makey Makey, Rasberry Pi) on the planet to create a fun, interactive environment that teaches kids (1st-8th) how to code computers. Activites include robotics, minecraft modding, video game design, visual based coding and 3-D printing. Our mission is to inspire the next generation to develop creative solutions to the world's most difficult problems using technology as their platform. The #1 camp in summer tech education, with 150+ locations nationwide and an expansive lineup of courses in coding, game design, app development, web design, film, photography, and more. At the LFC location, they strike the right balance between off-computer activities (creative games, sports, life skills, etc.) and essential cutting-edge technology education to foster STEM skill development (Science, Technology, Engineering and Mathematics) in an inspiring, collegiate setting. Students experience personalized learning with a maximum of 8 students per instructor and use the best brand name products from industry leaders like Adobe, Apple, Autodesk, Google, and Microsoft. Kick-start your dream job and gain a competitive edge for college! Co-ed and girls only options as well as day and overnight options. The perfect summer camp for aspiring engineers! Learn to build robots, code robots and pick up engineering skills. Armed with gears, motors, sensors, axles and laptops, students will build and code robots of all shapes, sizes and functions! Ages 5 and up. Half day (3 hrs.) or full day (7 hrs.) camp offered. BIG IDEA is the ultimate summer experience for curious, creative tweens and teens. Campers choose from 13 different technology workshops to follow their passions and find new inspiration. They empower campers to explore, learn, engage and achieve. This spirit extends beyond the tech workshops to their unplugged activities. Each day blends time spent on computers with classic camp fun – swimming, sports, art and more. BIG IDEA is the leading Israel tech education organizer since 2008. They are our partners in bringing Israeli innovation to Chicago. The program and instructors provide an expertise in technology along with a commitment to launching the next generation of entrepreneurs and thinkers. Each week of camp has a different theme and is filled with fun, hands-on, age-appropriate activities including STEM, problem solving and teamwork games. Flexible scheduling as well as extended care available. The Chicago Botanic Garden’s signature day camp provides exciting, fun, and enriching outdoor learning experiences for your child. Science, nature, art, ecology, and cooking camps draw kids from all over Chicagoland. All staff members participate in annual training, are first-aid certified, and love teaching. Camp CBG offers morning and afternoon camps, supervised lunch, and full-day camps, as well as extended care to give parents flexible scheduling options. Spend a week or the whole summer at the Garden! Rootz offers cooking classes based on different themes each week including STEAM (the connection between cooking and science, technology, engineering, art and math), children's literature, networking camp (inspired by cooking shows on TV), global flavors and basic training baking boot camp. Before and after care available as well. Hi, we're a new art school based in Evanston. We'd be interested in talking with you to share what we do and how we are bringing innovative art education to one of the communities you serve. If you can include our camp listing on this page, the information is below. Thank you: One River School of Art + Design 847-737-5806 1033 Davis Street, Evanston, IL https://evanston.oneriverschool.com/camp/ Grades K-12 One River School offers creative camps weekly from June 11 through the end of August. Topics include a wide variety of art and design subjects such as drawing monsters, street art painting, cartooning, manga, fashion illustration, watercolor painting, digital illustration, photography architectural design, and digital painting. All camps are project-based, taught by highly experienced instructors focused on creating an environment of fun, learning, and inspiration.